Oh, great captures for the day, Mick, as always!! I do love the birds and the water and what a beautiful place!! Thank you for sharing!! Enjoy your new week!! I can see why you chose these places to take your visitors, the scenery is beautiful. Gorgeous views of the water! Great sighting of the Silver Eye and I love the Pelican. Have a happy new week! Love the Silver Eyed bird and wonderful vista shots! Magnificent country ! The Silver Eye is a tremendous bird and with what would seem to be a perfect name. I am more than a little jealous of your seemingly perfect skies and beautiful sandy beach We seem to be having a cool and cloudy "summer" - again. Love those Pelicans, such fascinating creatures when I see them at the zoo only. Even your Pelican looks a little chilly, it has been a brrrrr month! Yes, it's often more fun to go birding with other birders and this is a neat place to go with friends - so much to see. 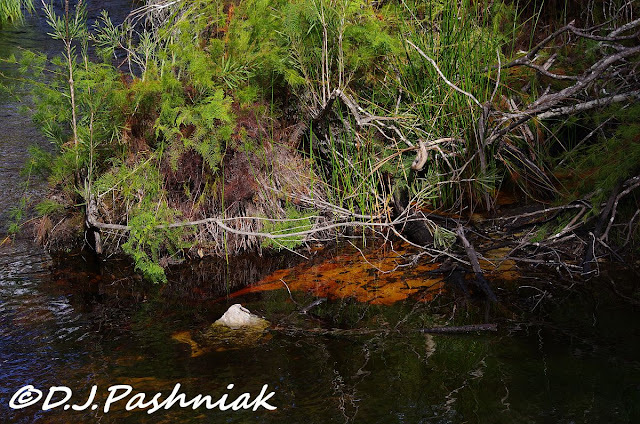 So great to see your part of the world and wildlife in your pictures. 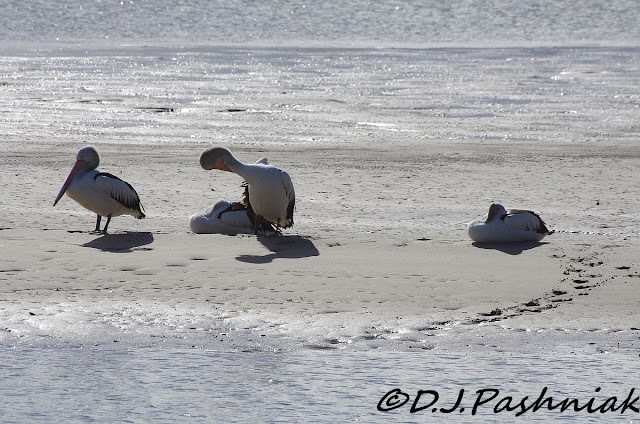 Great shots of the pelicans. 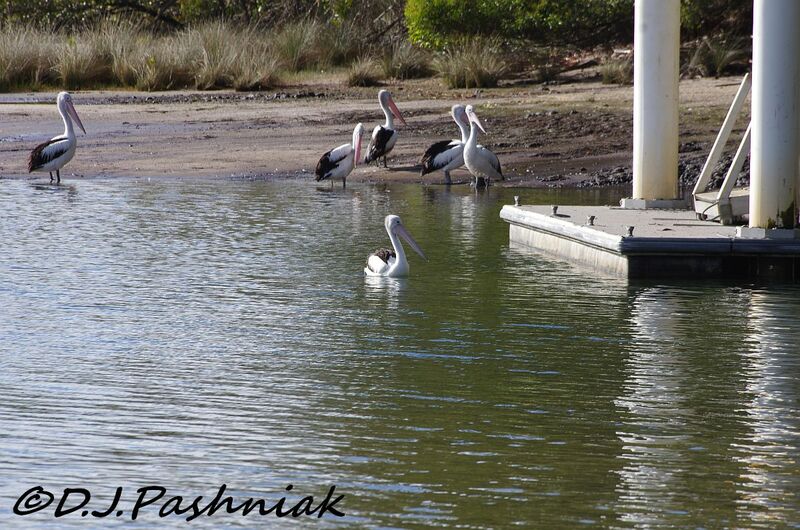 Love them Pelicans Mick. Cracking. Glad you were able to take your friends to all those beautiful places and see some birds as well. It is fun to have like minded company. Boy a lot of this reminds me of Florida! The tea colored water and the mangroves and of course the Pelicans. Beautiful pictures! Lovely scenes Mick and I enjoyed those birds. Pelicans are a particular favorite of mine but I rarely get to see them, unless on holiday and I have to travel a ways. I do like pelicans, but they are not the most elegant of birds on land!! Beautiful beach scenes...I really do like pelicans....the curious one that came in closer to your camera is an excellent shot!!! 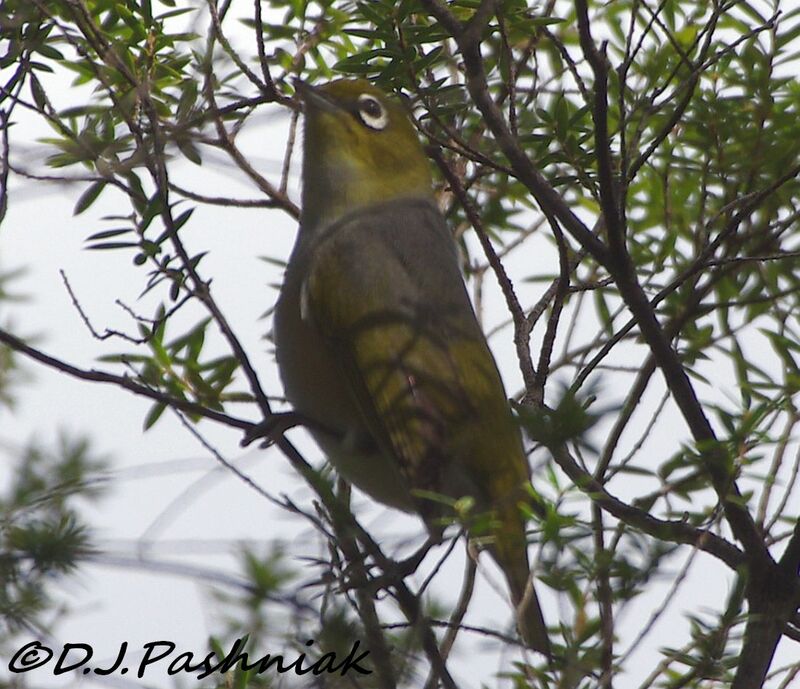 And that Silver Eye....extraordinary!!! Lovely images, the last one is my favourite too. Fantastic post, Mick! Your tannin stained water is very similar to our coastal creeks here in Florida. 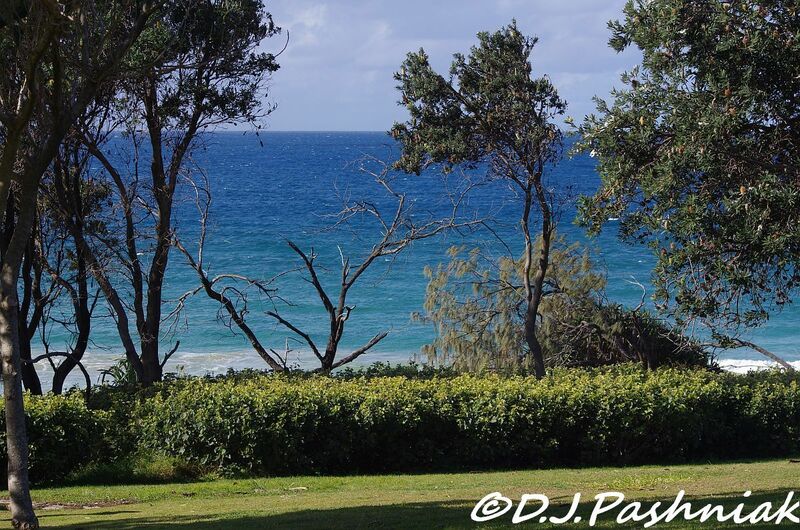 What a great view from the cliffs to enjoy tea! I empathize with you about birds not cooperating when you hoist up a camera. Your beaches and birds are so pretty! One day, I'll get over there and see some pelicans for myself. Until then, I love to see your photos. I also enjoy sharing places I like to visit with people who visit me. I happen to have pelicans on my post too, not as close as yours though. 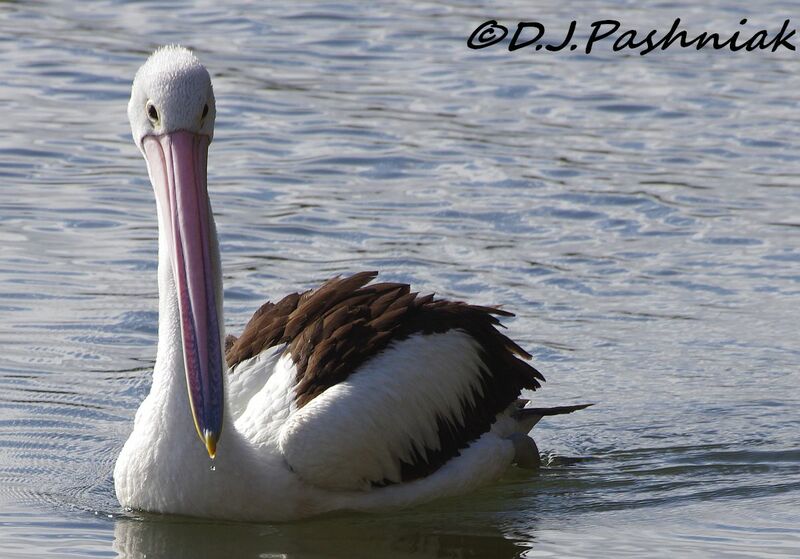 I do like that last one with the drop of water even falling off the pelican's beak. 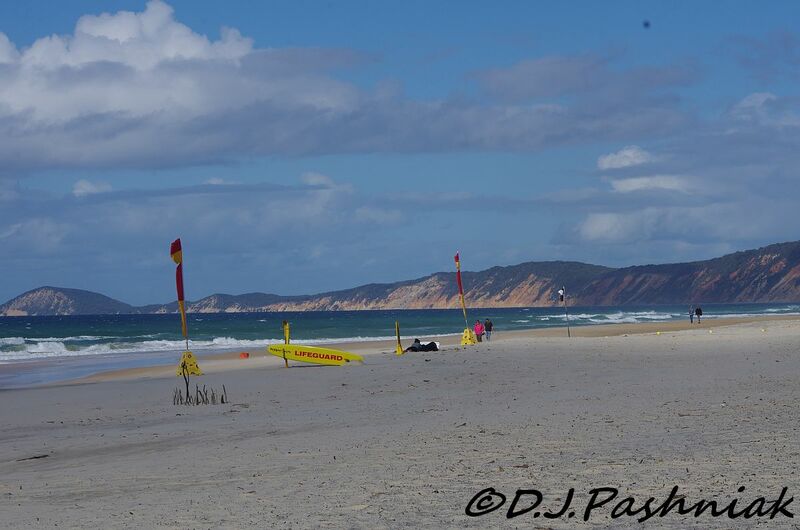 Great captures and Rainbow Beach looks amazing. The last shot is a good one. You have so many great days at the beach there. Sounds like a nice way to have tea. As for birds hiding out, I hear you! So frustrated sometimes by my inability to capture them quicker. I recently had a similar experience. Some bird photography is just impossible! What an awesome place to explore -- the pelicans are beautiful!